MAX Security Lite (Antivirus & Virus Remover, PhoneBooster, CPU Cooler & AppLock) is one of the best virus cleaner- antivirus software with virus cleaner, phone cleaner,antivirus protection, boost cleaner & antivirus for AndroidFREE! Low Power Consumption and Low Memory Usage,well-designed for lower end mobiles. With small package, it meetsyour needs of cleaning and antivirus. Looking forward to your replyat Play Store! ★ MAX Security Lite's Highlights: 🔥SmallInstallation Package (6.7MB) – Light mobile security app forAndroid 🔥Low Power Consumption – Satisfy the most basic operations🔥Professional Antivirus Engine – Trusted by more than 10 millionusers 🔥Fast and Handy – Scanning and cleaning in just a fewseconds. 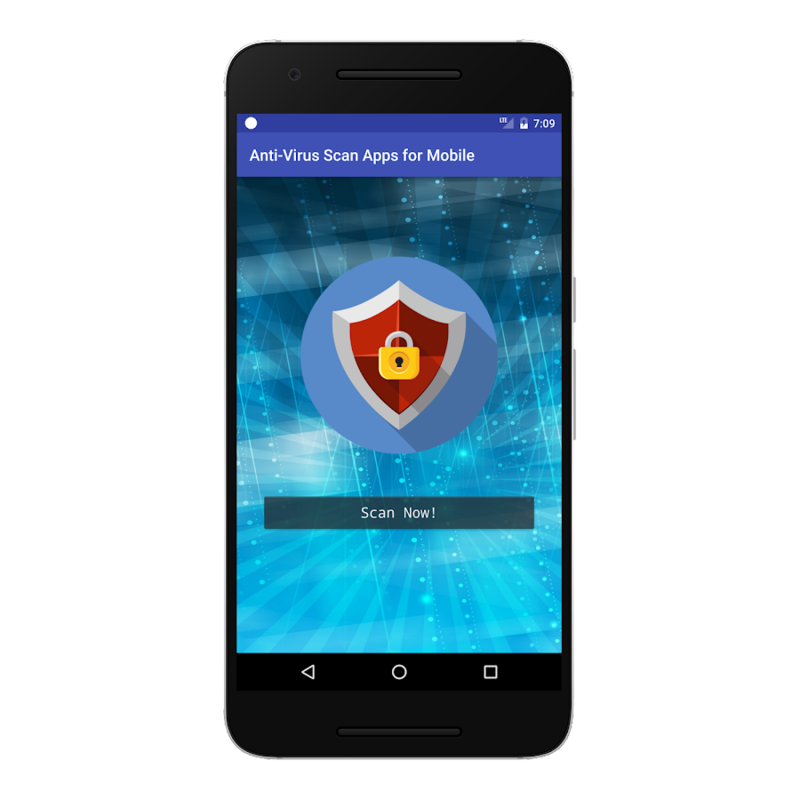 MAX Security Lite's Key Features: Mobile Security& Antivirus Software - Antivirus with virus scanner and virusremoval for Android. Junk Cleaner - Completely Clean junkfiles. Provide you the best Android clean. Booster forAndroid - Boost mobile & speed up your phone in one tap!CPU Cooler - Optimize CPU usage and stop overheating apps tocool down CPU temperature. App Lock - Sensitive app lock guardyour privacy by preventing unauthorized access. BatterySaver - Stop battery draining process to save battery powerfor long time. Learn more about MAX Security Lite: ★ VirusCleaner – Anti Malware MAX Security Lite acts as a virus removerand virus cleaner, which anti-malware, spyware and trojans fromphones. Max Security Lite protects your android device from harmfulviruses and malware 24 hours a day. Take advantage of our antivirus protection for Android features, keep your phone in the bestpossible condition. MAX Security Lite is handy for you to scan andremove virus. ★ Phone Cleaner - Cleaner for Android MAXSecurity Lite - Antivirus Software is not only a virus cleaner butalso a phone cleaner and booster. MAX Security Lite, withread/write external storage permission, clean the junk files ofyour SD card storage or internal storage. MAX Security Lite is alsocapable of one-tap boost with low power consumption thatexclusively designed for phones with small memory. ★ Boosterfor Android - Super Fast Android Booster MAX Security Lite also isa professional android booster, that frees up RAM and speed upmemory by closing apps that run in the background, make it runningfaster & smoother. ★ App Lock - Smart App LockMaster Retain security and privacy of sensitive content by lockingsensitive apps and snap intruders with camera permission to protectyour privacy. Protect your privacy and safety with password orpattern to make sure nobody else can access your most used apps.★ CPU Cooler - Phone Cooler MAX Security Lite detects andcleans apps that cause overheating & overcharging. Monitortemperature changes, effectively reducing the phone temperature.★ Battery saver - Longer battery life Battery saver can detectand stop power-draining apps to save battery power for Androidphones. ★ Call Blocker & Assistant Customize the numberson your blacklist and block spam calls & unwanted calls. WithCall, Contact and Read Phone State permissions, MAX Security Litecan block all annoying spam calls and provide powerful callassistance. ★ Better User Experience For better user experience,location & coarse location permission will be used to recommendthe most suitable and localized content for you. We will neverupload any of your location information. MAX Security Lite need getaccounts permission to keep functions work better. We will neverupload any of your accounts information. 📍Facebook:http://bit.ly/fbmaxpm 🔥Like our Facebook page to get the newest andfunniest posts every day!🔥 MAX Security Lite - A light mobilesecurity app with small installation package! GET the best VirusProtection App and Antivirus - MAX Security Lite NOW! antivirus cleanerfor android phone. Super Clean – Junk Cleaner & Cache FileCleaner Clean app cache, residual files, ad junk, unusedpackage and memory cache. Efficiently remove the junk filesthat occupy your memory and storage space. Clean up all junk fileswith one-tap, free up more space and boost phone speed. PhoneSpeed Booster - Accelerate & Boost Phone Boost yourmobile to get it running faster and smoother. Efficiently utilizeyour phone's memory and speed up your devices. Just with one tap onthe “booster” button, your phone performance will get fullyimproved. App Lock - Smart App Lock with Stylish lockThemes With Virus Cleaner 2019's App Lock, you can add extrapassword to protect sensitive apps. Lock your private apps by usingfingerprint, pattern or PIN and keep your secret safe fromsnoopers. Notification Cleaner - Notification & MessageControl Centre Manage and organize notificationseffectively, significantly reduce disturbance to users， creating asmooth, clean and fast mobile experience. CPU Cooler - CoolDown Temperature Detect and close apps that causeoverheating. Continuous monitoring temperature changes, detect highresource-consuming apps and start cooling progress, effectivelyreduce the temperature of your device. WiFi Speed Test andSecurity Virus Cleaner can also protect your onlinesecurity. Test WiFi speed, detect WiFi security and protect yourdata from being hacked. Scheduled Virus Scan -Cleaner and Booster For Android Phone Automatically scan your phonedaily, weekly or monthly by your settings. Deep Scan - Scanningand Examining Files Scanning both the internal devicestorage and SD cards. Thoroughly exterminate viruses and threatsfrom your mobile phone. Safe Browsing - For Real-TimeOnline Protection Block malicious URLs and protect yourselfagainst phishing websites with instant warning notifications. Get AVG AntiVirus FREE 2019 for Android™ to help protect you fromharmful viruses and malware. Keep your personal data safe with AppLock, Photo Vault, Wi-Fi Security Scan, and App Permissionsadvisor. Over 100,000,000 people already installed AVG’s antivirusmobile security apps. Join them now and: ✔ Scan apps, games,settings and files in real-time ✔ Boost speed by killing tasks thatslow down your device ✔ Extend battery life with Power Save ✔ Cleanunnecessary files to free up space ✔ Lock sensitive apps with aPIN, pattern, or fingerprint ✔ Enable locating your lost phone viaGoogle Maps™ ✔ Hide private photos in an encrypted Vault ✔ Stayanonymous with VPN ✔ Scan Wi-Fi networks for threats ✔ Check Wi-Fidownload and upload speed ✔ Get insight into the permission levelof installed apps With AVG AntiVirus FREE 2019 for Android you’llreceive effective virus and malware protection, phone locator, taskkiller, app lock, call blocker, Wi-Fi Scanner and photo vault tohelp shield you from threats to your privacy and online identity.App Features: Protection: ✔ Scan apps, games and files with ourdual-engine antivirus and remove malicious content ✔ Scan websitesfor harmful threats (Android's default browser and Chrome) ✔ Wi-FiScanner for network encryption, password strength and CaptivePortal (ones with 'sign-in' requirement) ✔ VPN Protection: Secureyour online privacy Performance: ✔ Extend battery life by turningoff battery-draining settings with Power Save ✔ Kill tasks andprocesses that can slow down your phone ✔ Clean unnecessary filesand free up storage space ✔ Check Wi-Fi download and upload speedAnti-Theft: Use AVG AntiVirus FREE 2019 for Android together withAVG’s remote management console or text messages (SMS) to: ✔ Locateyour lost or stolen phone via Google Maps ✔ Lock your phone and seta lock screen message ✔ Make your phone sound a siren ✔ Theftie[free trial]: discreetly emails you a photo of anyone trying tounlock your phone ✔ Device Lock [free trial]: automatically locksyour phone whenever the SIM card is replaced ✔ Surveillance Agent[free trial]: remotely capture photos and record audio from yourphone via our website ✔ Remote History: query the call log,contacts and text messages remotely ✔ Wipe your phone and SD cardcontent Privacy: ✔ Hide private photos in a password-protectedVault to prevent snooping ✔ App Lock [free trial]: lock sensitiveapps to protect your privacy and safety ✔ Call Blocker: protectyourself against spammers and scammers (for Android 8.1 and older)✔ Delete clipboard content and browsing history (Chrome browser andAndroid version older than 5.0) ✔ Stay anonymous with VPN ✔ AppPermissions: get insight into the level of permission required byyour installed apps App Insights: ✔ Monitor how you spend your time✔ See where your data is used ✔ Discover potential privacy issuesThis app uses the Device Administrator permission. This permissionallows you to remotely lock and wipe your device from my.avg.com.This app uses Accessibility permission to protect visually impairedand other users against phishing attacks and malicious websites. Byinstalling or updating this app, you agree that your use of it isgoverned by these terms: http://m.avg.com/terms Google®, GoogleMaps™ and Android™ are trademarks of Google, Inc., registered inthe USA and in other countries Download Antivirus for Free Now! Professional mobile security app with antivirus software, phonesecurity, cleaner and booster. Free Antivirus Download for yourphone security. Super Security – Antivirus for Android, the bestmobile antivirus app with Virus protection, Virus Cleaner, CleanBooster, Security Guard, Junk Cleaner, CPU Cooler. Say hi to bestantivirus booster for android and go to download the free antivirusand power security apps. Professional antivirus booster securityscan for Android mobile, totally for FREE now. SuperSecurity (Booster and Cleaner, Antivirus, Device Security) andantivirus free up storage space on phone and clean up memory byAntivirus android booster. Super Security, the best phone boosterand antivirus for android, can speed up phone more efficiently with1-tap booster on home screen. ★ Cleaner Super Security (Antivirusfor Android) and antivirus is also a mobile phone cleaner app, ithelps you free up storage space on phone and optimize Androidmobile phone performance. Super Security and antivirus can improvephone performance and speed up phone. Super Security - antivirusand phone boost cleaner for android, the best Android securityantivirus and mobile phone booster app. Now come to say hi to thesuper safe 2018 Super Security! Super Security (Virus remover andBooster for Android), more than mobile phone cleaner, androidbooster, virus protection, app lock, antivirus app and mobilesecurity apps! Super Security (antivirus free and anti malware)provides security service, virus cleaner, and virus removal forandroid. It clean junk files, boost and cool down your phone.Please note that Super Security uses permissions below for thelisted reason. 1.Read contacts - only used for the Call Blockerfeature to display details of the calls to users; 2.Make and managephone calls - only used for the Call Blocker feature to allow ourapp to block the calls in your blacklist; 3.Take pictures andvideos - only used for AppLock feature to take photos of intruderssnooping on your privacy apps. Virus Cleaner - MAX Security, Antivirus for Android phones free, isone of the top rated (🏆4.8 ★ ★ ★ ★ ★) security apps/free antivirusapps in Google Play Store. With professional antivirus, virus scan,virus removal for Android, phone cleaner, Applock for privacyprotection. MAX Security always gives you 24/7 real-timeprotection. ☛ MAX Security, antivirus for Android phone free is oneof the professional phone security apps & professional freeantivirus apps for your Android device. ☛ Provide authoritativeantivirus engine. Trusted by more than 5.3 million users. The MainFeatures of MAX Security - Antivirus Software (virus removal):☂️Real-time Protection - Provide 24 hours protection for yourprivacy security. ☀️Antivirus - Authoritative antivirus for Android& virus cleaner. 🌪Cleaner - Phone cleaner app/cache cleanerthat clear cache Android. 🔐App Lock - Security Lock that protectyour privacy apps. Download MAX Security - Antivirus, you can get:🌟 professional Free Antivirus Free Antivirus app for Android withvirus scan and anti-malware removal. MAX Security, antivirus forandroid phones free, is one of the professional antivirus freedownload - security apps with virus cleaner/virus protection, antimalware removal, mobile free antivirus software which blocksspyware, malware and Trojans from phones. MAX Security -professional free antivirus app ensure your phone security. 🌟 VirusScan & Virus Removal for Android MAX Security - Antivirus forAndroid Phones Free deep scans/clean system and remove viruses andthreats. As the antivirus app and mobile security guard, virusprotection makes phone safer. 🌟 Real-time Protection MAX Security -Antivirus for Android provide real-time protection with antivirus,precisely virus scan and virus removal for android. Reliablesecurity apps lock always protecting your data privacy. MAXSecurity - professional Free Antivirus Software. 🌟 App Lock MAXSecurity also provides apps lock. With password/pattern to retainprivacy, lock sensitive apps and snap intruders with camerapermission to protect your privacy. MAX antivirus software makesure nobody can access your private apps. 🌟 Phone Cleaner &Cache Cleaner MAX Security also is one of powerful Androidantivirus cleaner. MAX Security - professional Free Antivirus(virus cleaner) acts as Android cleaner with memory cleaner, withread/write external storage permission, to clean the junk files ofyour SD card storage or internal storage. 🌟Call Blocker &Assistant Customize the numbers on your blacklist and blockunwanted calls. With Call, Contact and Read Phone Statepermissions, MAX Security can provide powerful call assistance.🌟Better User Experience For better user experience, location &coarse location permission will be used to recommend the mostsuitable and localized content for you. MAX Security need getaccounts permission to keep functions work better. We will neverupload any of your location or accounts information. GET theprofessional FREE Antivirus App, Antivirus for Android phones free:Virus Cleaner - MAX Security NOW! Protect against viruses & other types of malware with AvastMobile Security, the world’s most trusted free antivirus app forAndroid. Protect your privacy by receiving alerts when spyware oradware-infected apps are downloaded onto your device. Secure yourdevice against phishing attacks from emails, phone calls, infectedwebsites, or SMS messages. Turn on the VPN to keep your onlinebrowsing private and safe, as well as to access your favorite paidstreaming services when traveling abroad. With more than 100million installs, Avast Mobile Security & Antivirus providesmuch more than just antivirus protection. Other features include: ✔Antivirus Engine ✔ App Lock ✔ Call Blocker (for Android 8.1 andolder) ✔ Anti-Theft ✔ Photo Vault ✔ VPN (virtual private network) ✔Power Save ✔ Privacy Permissions ✔ Firewall (for rooted Androidonly) ✔ RAM Boost ✔ Junk Cleaner ✔ Web Shield ✔ Wi-Fi Security ✔App Insights ✔ Virus Cleaner ✔ Wi-Fi Speed Test What’s new VPN(Virtual Private Network) - Hide your online activities and changeyour location to access your favorite paid streaming services fromanywhere. Introducing App Insights - Ever wonder how much timeyou’re wasting while looking at your phone every day? We’vedeveloped a solution for you, right inside of your favoritesecurity app. Premium features for advanced protection: ■ CameraTrap: Secretly capture photos and audio of the thief if your phonegets stolen. ■ Last Known Location: Check your device's lastlocation before its battery died. ■ Sim Security: Automaticallyregister your device as lost after a SIM change. ■ App Lock: Keepyour sensitive content secure and private by locking any app with aPIN code, pattern, or fingerprint password. Only you’ll be able toaccess them. ■ Remove Ads: Eliminate ads from your Avast MobileSecurity & Antivirus experience. ■ Avast Direct Support:Contact Avast directly from the app to receive quick responses toyour inquiries. Avast Mobile Security & Antivirus in detail ■Antivirus Engine: Automatically scan for viruses and other kinds ofmalware, including spyware, Trojans, and more. Web, file, and appscanning provides complete mobile protection. ■ App Insights:Discover how much time you spend using each app on your device andtake back control of your phone-life balance. ■ Junk Cleaner:Instantly clean out unnecessary data, junk files, system caches,gallery thumbnails, installation files, and residual files to giveyou more space. ■ Photo Vault: Secure your photos with a PIN code,pattern, or fingerprint password. After moving photos to the Vault,they are fully encrypted and only accessible to you. ■ CallBlocker: Stop unwanted callers from interrupting your day.Automatically block spam or add phone numbers to your blacklist toprevent them from contacting you. ■ Web Shield: Scan and blockmalware-infected links, as well as Trojans, adware, and spyware(for privacy and safe web browsing, e.g. Chrome). It also fixesmistyped URLs. ■ Wi-Fi Security: Check the security of public Wi-Finetworks and email messages, browse safely, and make secure onlinepayments from anywhere. ■ Power Save: Reduces your device's batteryconsumption by adjusting battery-draining settings such as Wi-Fi,data synchronization, Bluetooth, and screen settings. This app usesthe Device Administrator permission. This permission allows you toremotely lock and wipe your device from my.avast.com. This app usesthe Accessibility permission to protect visually impaired and otherusers against phishing attacks and malicious websites.